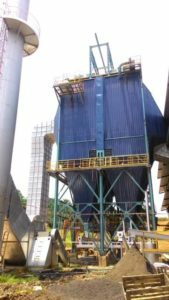 Recently many biomass boiler users have the needs to implementing dust control emission system and effective dust collector for their plant. Every palm oil mill comes with own biomass boiler for own steam and electric used within the process. From study, a palm oil mill will emit an average 51g/sec of dust particulate into the air base on the amount of palm kernel shell and shredded EFB they burn. Palm oil industry is contributing major income for Malaysia. However throughout the pass 20 years of development in palm oil industry, Malaysia government has to search a reliable and sustainable way to further promote the industry. 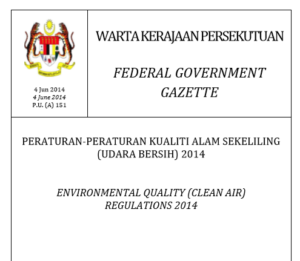 Malaysia government has gazetted tighter environmental control by DOE department. The latest requirement for biomass boiler whereby the particulate emission has to fulfil less then 150mg/m3 @ 12% of CO2, this requirement will be enforced start from June 2019. Recently we had encountered many enquiries about Dust Emission Control System to be installed in biomass boiler. Many users has been using dilution methodology by installing additional blower in order to lower than the particle discharge concentration however with the latest requirement, DOE has stated that the dust emission measurement has to be done at 12% CO2 concentration. With this condition imply, biomass boiler user has to install a proper and effective dust collector system. From our experience and feedback from user, we know that Wet System could not fulfil the dust discharge requirement set by DOE department. Cyclone and Electrostatic Precipitate system have been proved to be more effective while come to dust collector. Skill Energy has been given consultation on installing and commencing dust control emission system. We are an independent party which give appropriate recommendation to user without bias to any brand or manufacturer. We will select and advice the suitable dust emission control system to user after study the mill condition and existing discharge level. We had come across some users asking if >150mg/m3 discharged particulate is too stringent for palm oil mill to comply? No doubt this requirement is stringent then earlier requirement, 400mg/m3 discharge, but it is still doable and achievable. From our past experience, we are confident saying that by installing a suitable Dust Collector System, we are able to fulfil this dust emission level, Perhaps, many countries has implemented even stringent emission rule in order to overcome air pollution challenge. For example, China is encountering heavy midst condition especially during winter time. China has enforced a much more crucial dust emission guideline, 20mg/m3, for factory to fight against air pollution. To show our commitment to environment and corporate social relation, we strongly urge our reader to install dust emission control system. Working with Skill Energy, we will also helping our user to setup a way for monitoring the dust emission which complies to Malaysia government requirement. 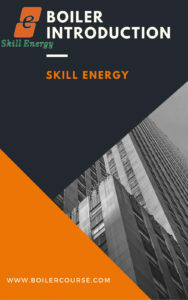 Please kindly contact Skill Energy for any boiler related knowledge and needs. We are always here for working with you.